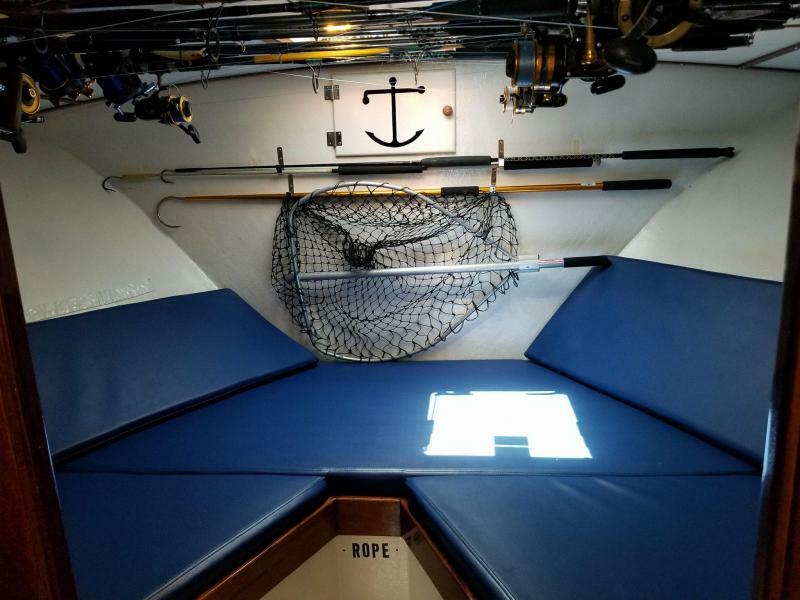 The Wahoo is a USCG inspected and approved 40' charter-for-hire fishing vessel. 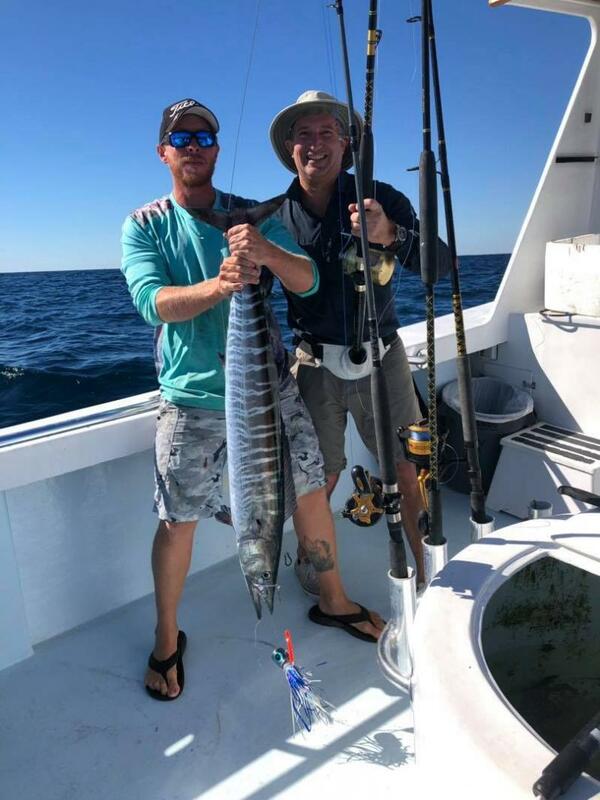 The Wahoo is certified to carry 15 passengers. 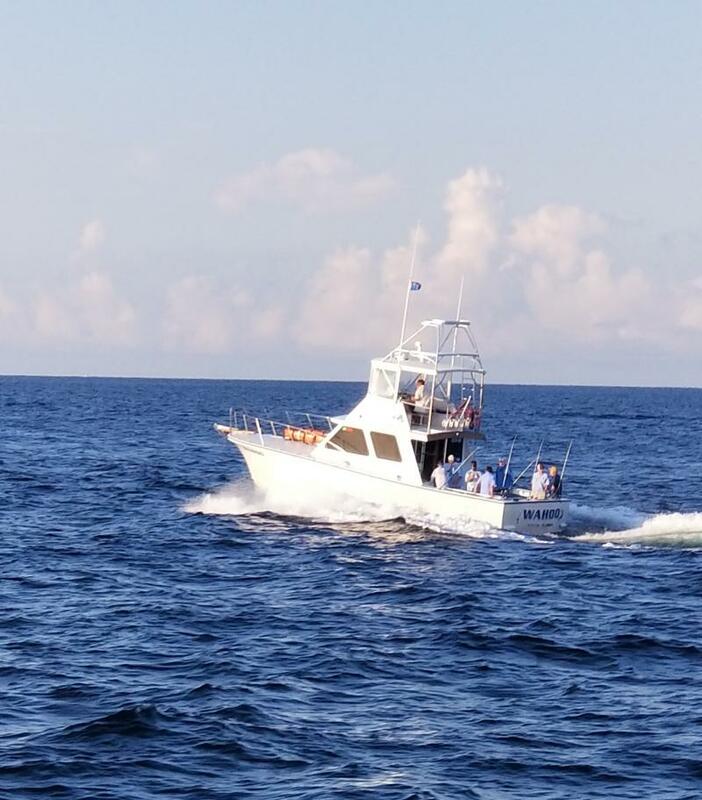 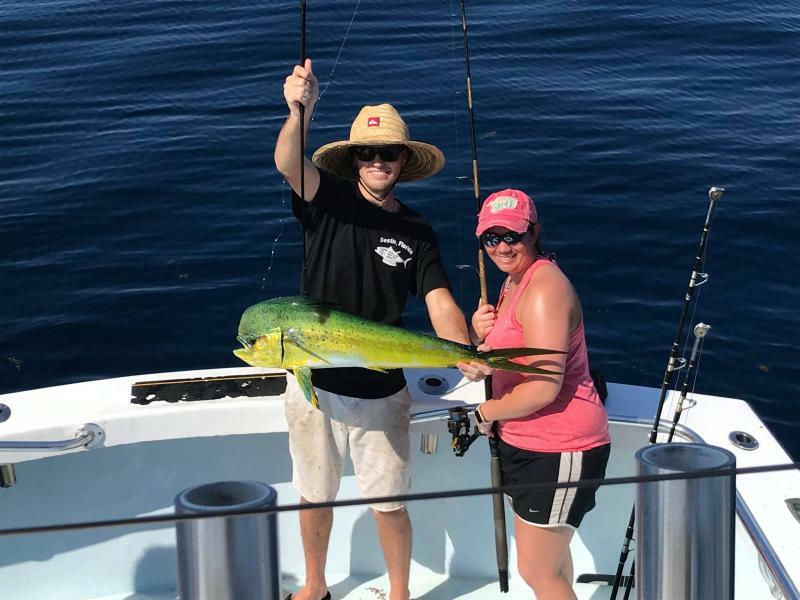 Ten anglers fish comfortably on a fishing charter. 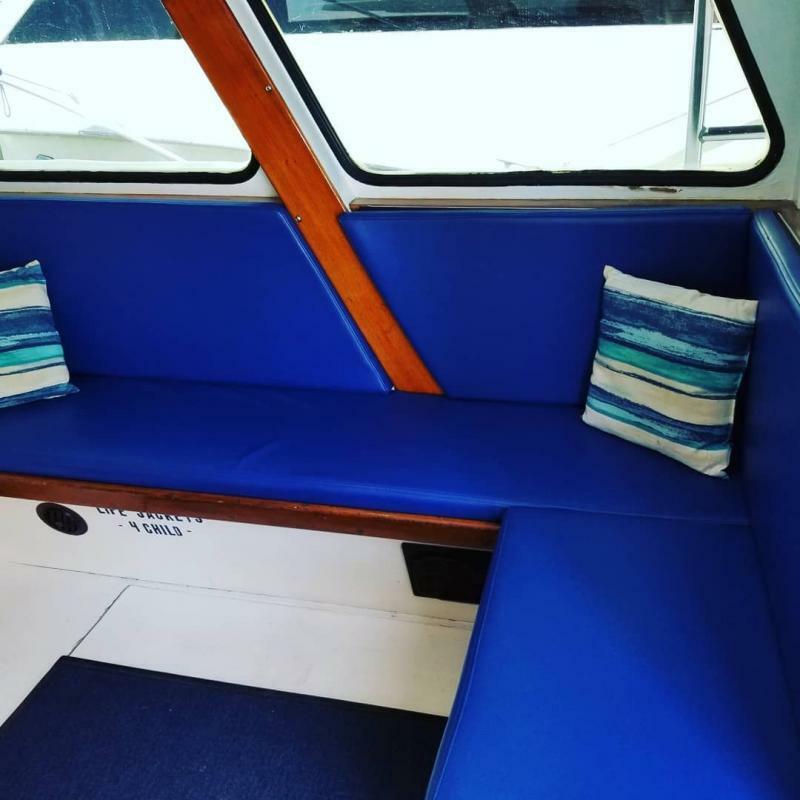 The cabin has comfortable bench seating with air conditioning. 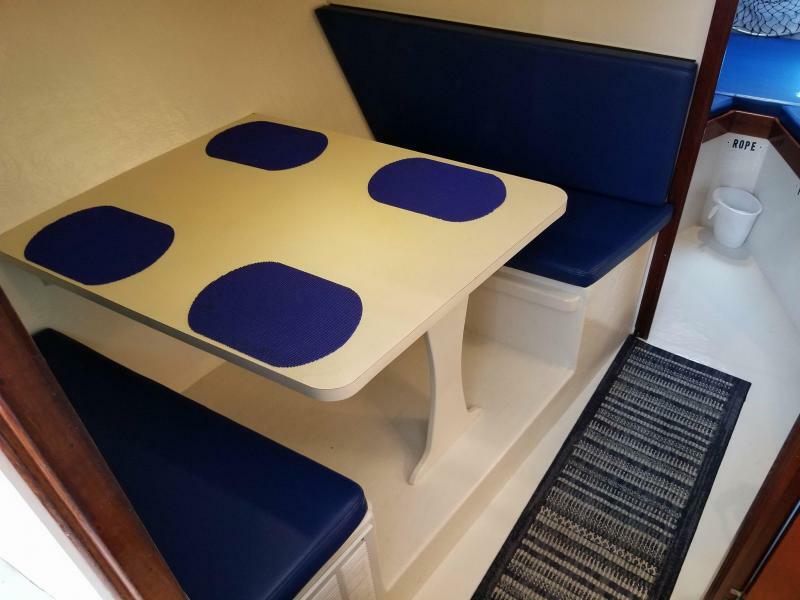 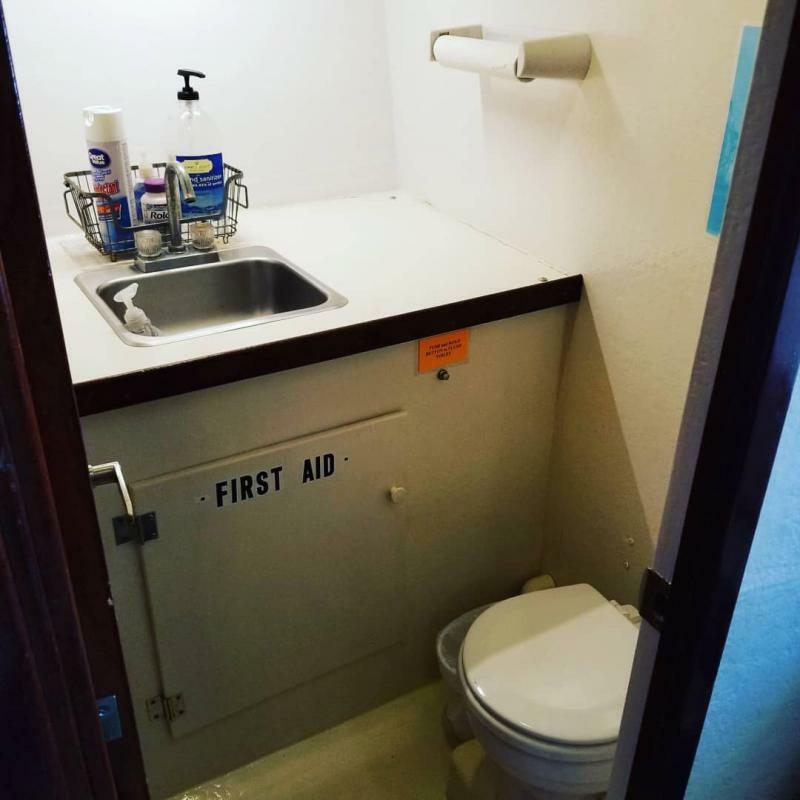 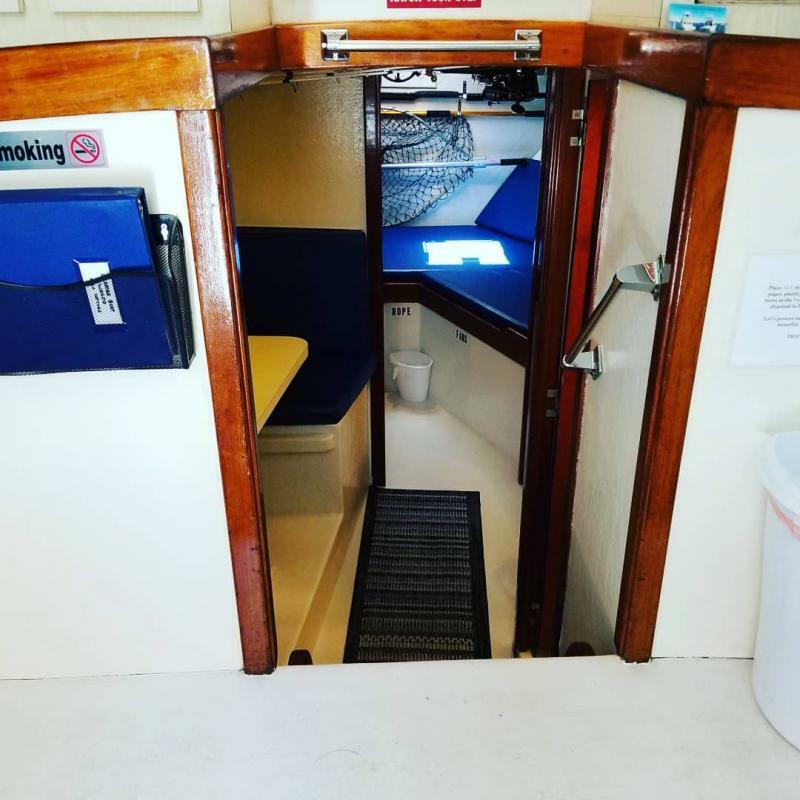 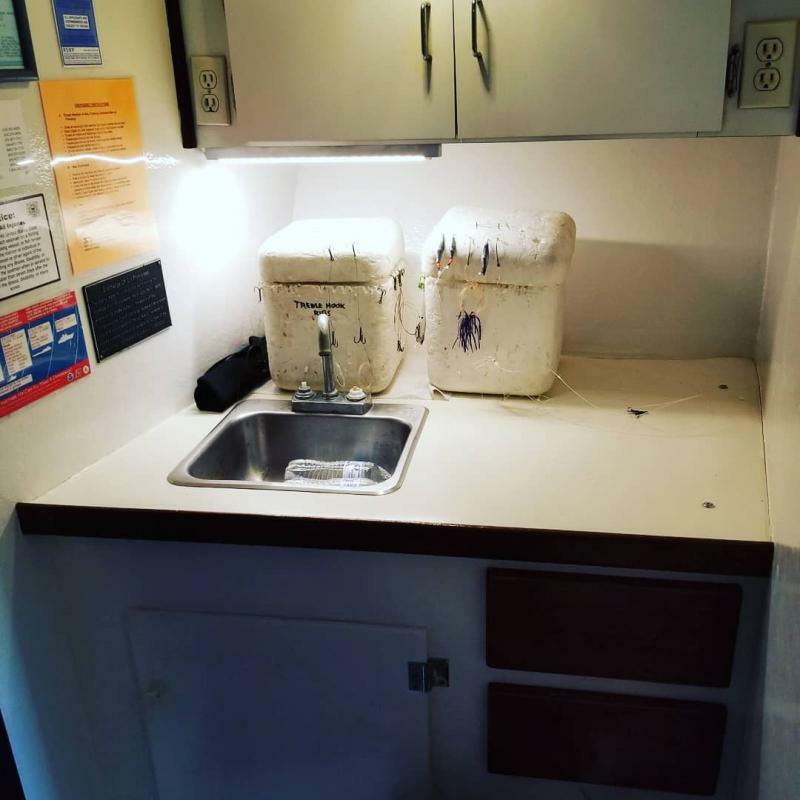 The mini-galley with table and benches, restroom and V-berth with two bunks are located downstairs. 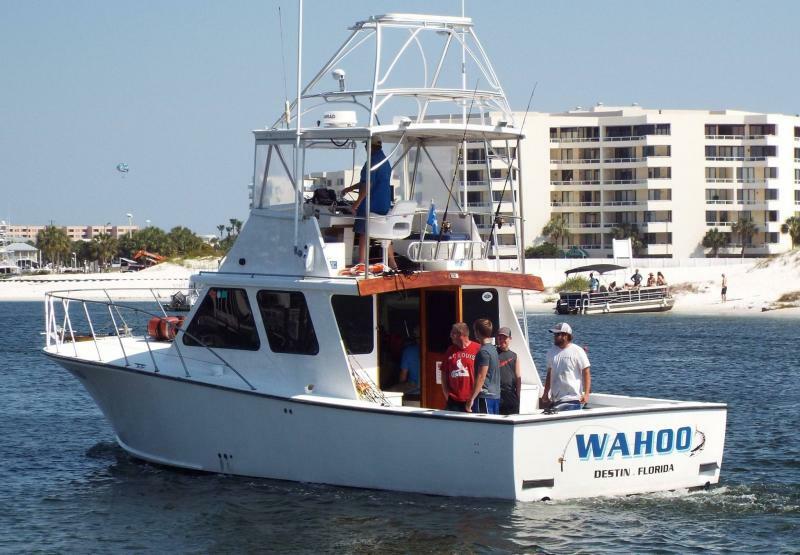 The Wahoo is docked at Harbor Walk Marina, 66 Harbor Blvd., Slip 50, Destin, Florida. 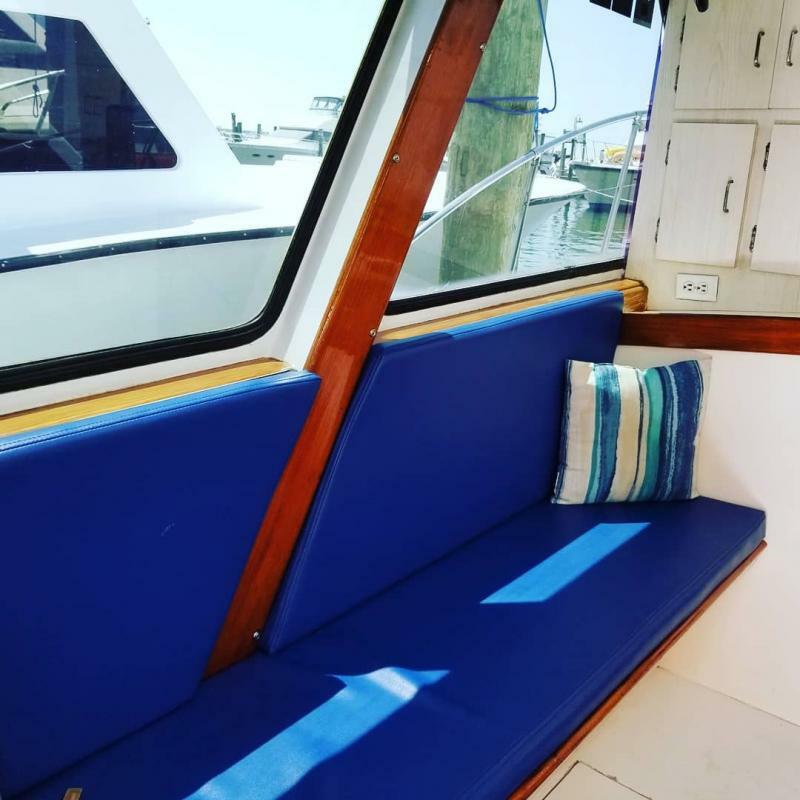 Let's go fishing in comfort!